I can’t wait to sink my teeth into this one, being an avid lover of deconstruction-based stories, probably due to the fact that because of their nature, they ask the questions other stories won’t or don’t bother to ask, which in the end makes for some of the most compelling drama. 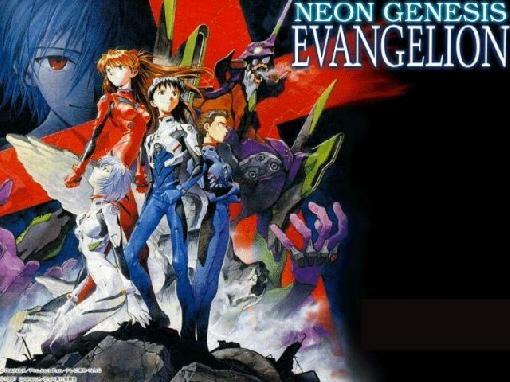 I can’t say if I was exposed to such things in my youth, but I was made aware of them more recently when I rediscovered my attraction to Japanese anime, particularly with shows like Neon Genesis Evangelion, Puella Magi Madoka Magica, Psycho-Pass, and Fate/Zero. Naming off these shows may or may not mean anything to you, but don’t worry, I’ll explain myself, as far as their relevance to this post is concerned. Two of these shows (Puella Magi Madoka Magica, and Fate/Zero) were scored by the outstanding Yuki Kajiura, which makes sense, as these deconstructions tended toward dark themes and her music does an excellent job of mixing darkness with epicness. Also, three of these shows (the two former plus Psycho-Pass) involved writer Gen Urobuchi, who’s earned the floating nickname, “the Uro-butcher”, probably because, of what of I’ve seen of his work, not only do his worlds and story-lines get smashed in the deconstruction process, but so do a number of the characters he writes for, usually via a violent death scene (skewering, decapitations, head explosions, and demises of tragic fate GALORE). Quite frankly, I eat that kind of stuff up, because Urobuchi in particular does it with a healthy dose of pathos to justify it. 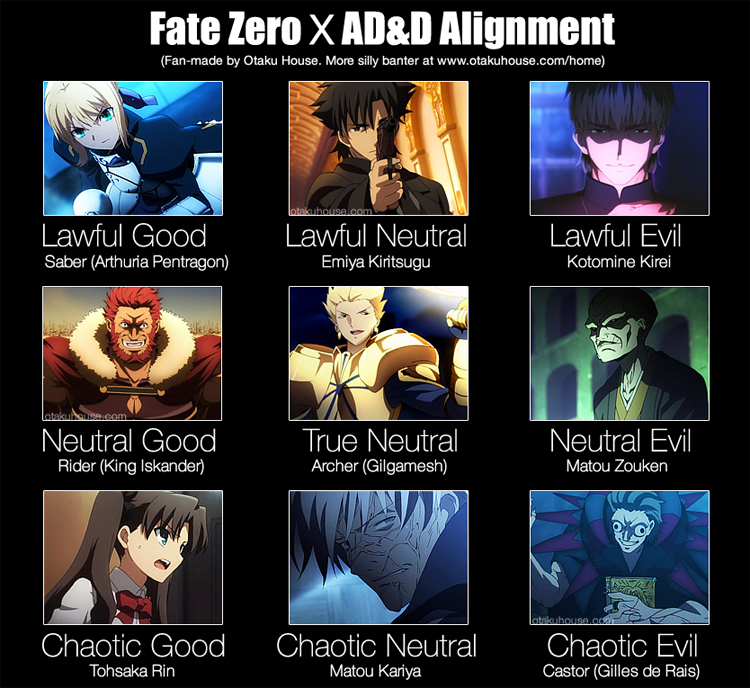 In Fate/Zero, there was a theme of deconstructing the traditional hero concept during the show’s central outward conflict of a battle royale known as the Holy Grail War, with the main(ish) character Kiritsugu Emiya being forced to the ultimate despair in his pursuit of his ideals of justice, namely the sacrifice of those he loves, and unfortunately by his own hand, in order to save the many versus the few (not sure how much Spock would weigh in on this) which for me was what drew me into the show so much. Because if you think about, yes we’ve seen heroes lose loved ones because of the actions they take to save other people (Spider-Man, Harry Potter, Batman), but never on such a literal level as to really examine so closely the idea that being a true hero with the ability to save everyone is just an illusion, that in the real world such people can’t really exist because of the tragic fact that, as Kiritsugu himself says in Fate/Stay Night (of which Fate/Zero is the prequel), “Saving one person means being unable to save another.” This was why his servant in the Holy Grail War, Saber, a.k.a. the Spirit of King Arthur (who is apparently female of course), made for an excellent foil to Kiritsugu’s methods of fighting, as he embodied the “dark side of heroism”, and she the “light side” in contrast, on the basis of the Chivalric Code she upheld in life. 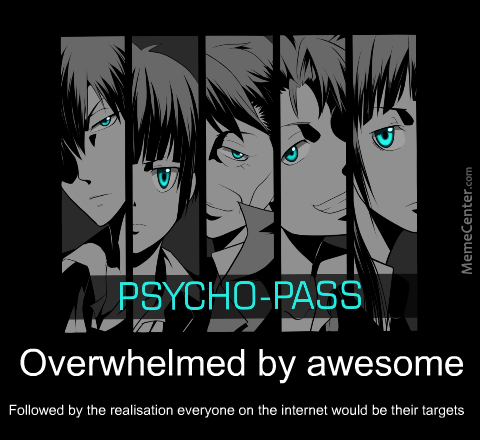 In Psycho-Pass there’s a bit more of a grey area painted, but the concept is as equally interesting as Fate/Zero. 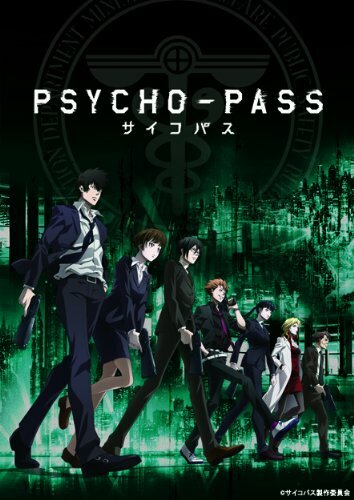 It’s set in a world where everyone’s psychological tendencies can be measured using a series of computerized algorithms that produce a color value (or “hue”) for everyone’s psychological state (this is what’s known as a person’s “psycho-pass”), as well as calculate the likelihood of an individual person committing a crime, a crunched number called a “crime co-efficient” (eat that, Michael Bay and your “Purge”). The higher your crime co-efficient value and the darker your psycho-pass hue, the more likely you are to be or become a dangerous individual, and you would be dealt with as such (talk about justice being blind). Over the course of, at the very least, the first season, the progression of the plot follows a deconstruction of such a “perfect system”, but at the season’s conclusion, those broken pieces are put back together in a poignant new mosaic. Similarly, while the deconstruction of a hero and what that means drives the plot and most of its characters in Fate/Zero (Kiritsugu in particular) to ultimate despair, that too is put back together in a turn of hope in the very last scene when Kiritsugu, as he spends the last moments of his life with his adopted son Shirou, whom he rescued from a destructive fire that resulted from the Holy Grail War, and Shirou assures Kiritsugu that even though he failed in his dream of becoming a hero, he himself was still young and could carry that dream on for him. 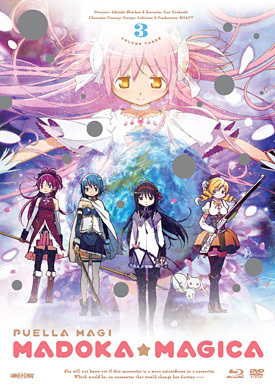 Puella Magi Madoka Magica is in fact the deconstruction of a whole genre, namely the “magical girl” genre, which, in its basic form, is characterized by a high school or junior high girl forming a pact with a cute animal critter that can talk in order to obtain magical powers so she can fight the forces of evil in a cute, frilly dress of some sort (think Sailor Moon or Cardcaptor Sakura if that helps). 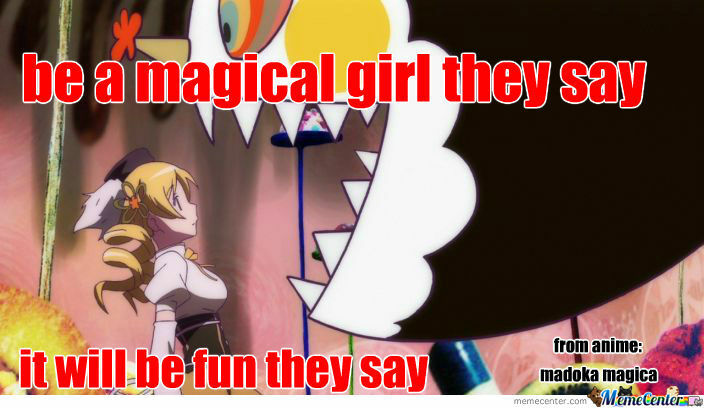 Puellaa Magi Madoka Magica turns the concept on its head, asking all the questions other shows of the genre don’t ask and really delving into what it means to be a “magical girl”. 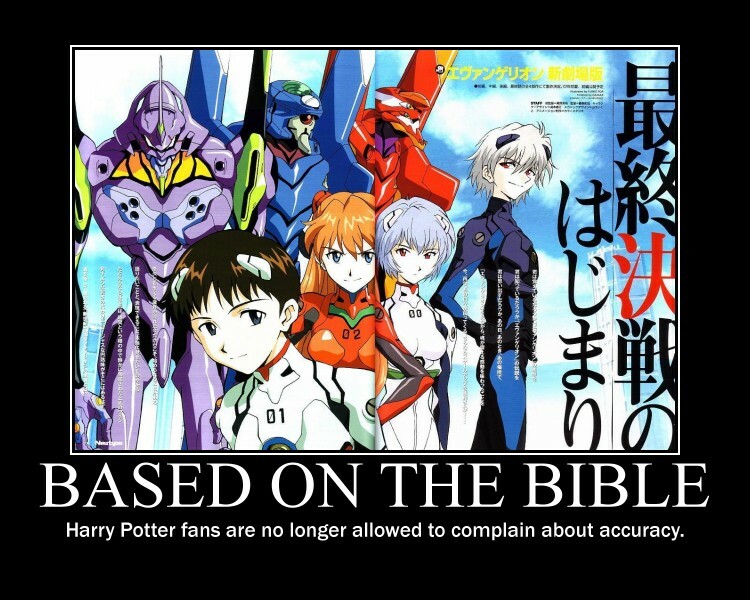 Neon Genesis Evangelion (the only one of these four works Gen Urobuchi had nothing to do with) does basically the same thing but with the “mech” genre (the one with all the giant fighting robots, think Gundam Wing or Pacific Rim even if that helps). 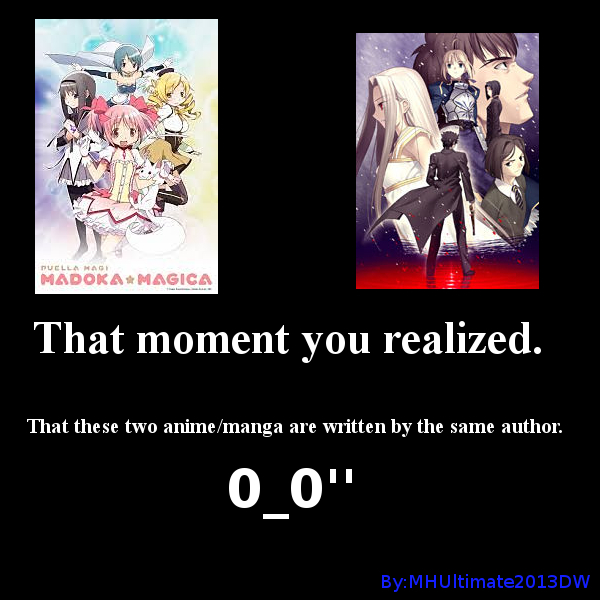 For my part, as far as Gen Urobuchi is concerned, Puella Magi Madoka Magica was the first of his work that I’ve ever seen, but I didn’t hear about him until Fate/Zero while reading bits and pieces of an online English translation of the light novel of the same name that the show was based on. And from what I’ve found out since then, it’s clear he’s highly praised for the work he’s done, and in my opinion, he deserves it. He’s not perfect, nobody, no WRITER, ever is (no, not even J. K. Rowling or J. R. R. Tolkien), but he definitely contributes to telling compelling stories rife with well-timed drama. And part of that comes from the process of deconstruction, which reaches a pathos upon reconstruction. I mean, when someone smashes a glass vase, most people in the vicinity take notice. The process itself is fascinating to watch, whether it be a world or a genre that’s being ripped at the seams. But is it too easy of a framework to use, as far as writing your way to something shocking and thought-provoking? Basically speaking, anyone could do something as simple as break something down and then play at putting it back together into something meaningful, right? Well, like with any art or technique, it comes down to really whether you have the talent to pull it off. The formula seems easy enough, almost like a shortcut to writing groundbreaking fiction, or what have you. But on the other hand, it should be quite obvious that some thought has to be put into it, at the very least with the inquisitive instinct that deconstruction requires. Turns out smashing that vase isn’t all that simple after all. 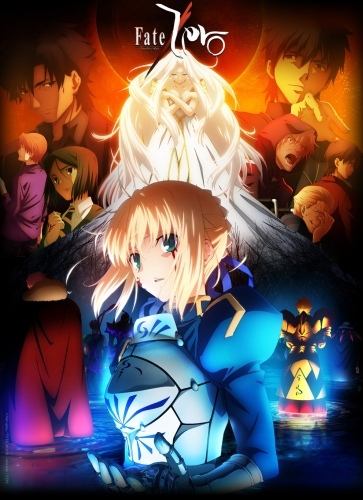 In Gen Urobuchi’s work, the tearing apart process claws its way to one or two emotional climaxes, as stories should do anyway, otherwise they end up being pretty boring and pointless. But this is where the deconstruction process comes in particular handy if you’re looking for a way to craft a story that throws your readers for an emotional loop. In that regard, I like to consider the deconstruction process as a helpful tool, much like following any guiding framework, from the “fish-out-of-water” scenario to the “rebel-with-a-cause” storyline. As far as literary works go, it works just as well as a guide for analyzing as it does for the writing process. The Hunger Games Trilogy, for example, could definitely be looked at as a clear deconstruction of the media, which served as a powerful commentary ON the media. Or at the very least, a criticism on the media with extreme deconstructive elements. To me, it was also something of an homage to dystopia, if that’s the right word, using the image of Katniss’s fire to create a kind of allegory to how rebellions come into fruition. Even The Chronicles of Lumatere (an extremely underrated YA series in my opinion) could be seen as a deconstruction of historical fantasy wars, the idea being to show humans at their darkest in the midst of international conflict and being somehow able to return from that darkness despite obstacles that try to keep them within it. In my own work, I have some deconstructive elements in mind, targeted towards the usual tropes of a YA supernatural romp. Things like the non-supernatural parental unit of a supernatural main protagonist concept is skewed a bit to something a little different, at least from what I’ve read in the past. I even have a small section later on with the non-supernatural parental unit of my main protagonist speaking with the non-supernatural parental unit of the main protagonist’s equally supernatural best friend, and they touch on what it means to be the ordinary parents of such extraordinary, essentially super-powered children. However I can see how this might be seen as a “cheat” to good storytelling. 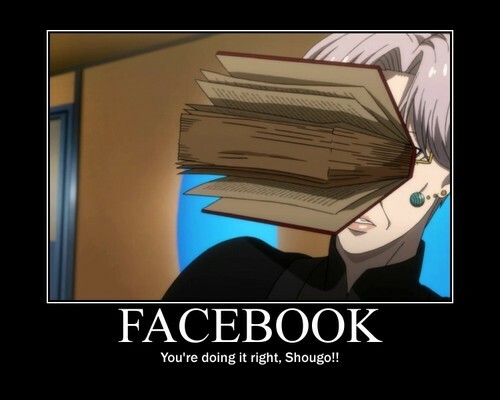 But either way, I don’t think it’s any less effective as a way of presenting a story. Really it’s an excellent tool in envelope-pushing, if nothing else. It generally brings things to a deep, dark place, but that’s what makes it so gripping. And as the writer, it forces you to really think about what it is you’re writing: otherwise, how else would you go about picking it apart properly? And this is where it really helps in unearthing some meaning in the story you’re telling. So I stand by my original opinion. 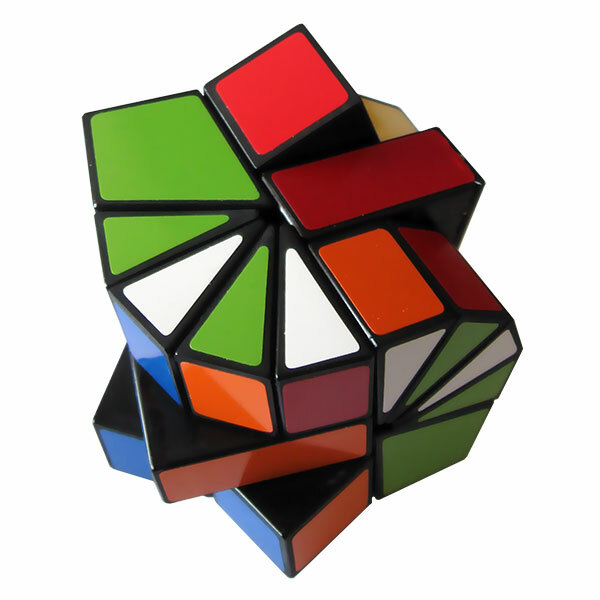 Deconstructions are great, and like with anything, can be pulled off with the right amount of grit and thought. If you feel like you need to add some depth your story, try really picking apart what it is you’re writing to begin with. It doesn’t have to be an outright deconstruction, but you may discover a gem or two in the process of your storytelling. And what’s treasure without gems?